For the Cat lovers - Persian! Pokemon One a Day! Stalking her prey, Persian is seen here laying low, ready to strike! 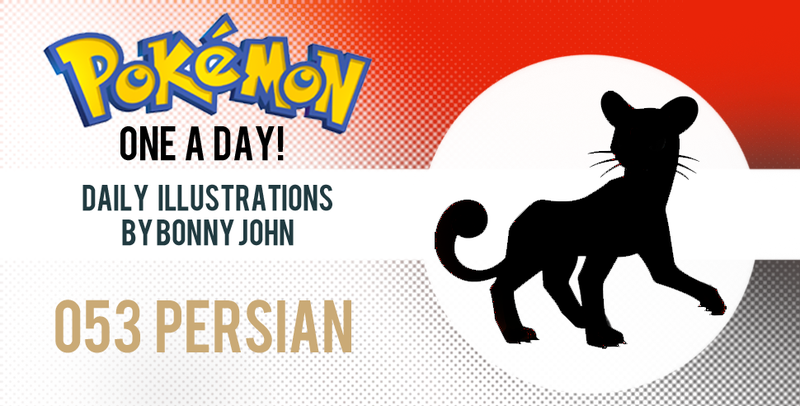 Today's artwork features the very blandly designed evolution to Meowth, Persian. In the words of "TheWP", Nintendo could have at least named it "Purrsian" for some sort of effect! We know you love puns, Nintendo. Retconn this name for this big cat, pronto! Anyway, speaking of big cat, that was the obvious and clear inspiration behind this work. I was originally going to do something a lot more stylized, almost looking at the "Puma" logo for inspiration. Instead, I looked up references of a tiger in stalker mode and realized how important it is to base works off of the real model counterparts. Quite often, we draw things the way we believe them to be, based off our "mind's eye", and it wasn't until I looked at references that I found how unique and specific the body of the animal contorts and twists and dips and...yeah. My original draft of a stalking tiger is too ugly and is rated R to even look at. I had to burn my old computer because it was so ugly. The lesson to be learned is use a reference when attempting to draw something that is unfamiliar to you! Anyway, using the photos and even a figurine of a tiger as a base, I modeled the Persian in that pose. I began painting it with my favorite texture brush, thinking having some fur draped over the body would be a nice look. Over time, my application felt messy, and rather unsightly against my sketchy outline I decided to use Persian's characteristics as inspiration to help me finalize a feel for the work. 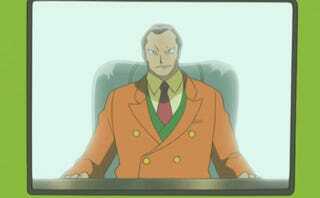 Persian is the "classy cat" Pokemon. It's a mid-size cat with no interesting visual traits other than a red orb on its forehead. I traded that in for gold, to carry on the unique headpiece of Meowth. I also carried over the brown patches on the tail and hind legs of Meowth to Persian for some more flair. The coloring went from messy and textured to broad and solid. The gold paw you see further accentuates the money and rich (figurative and literal) qualities that Meowth would evolve into in this form of Persian. Before it strikes, the paw glows gold in conjunction with its golden bead on its forehead for effect, lighting up various moves like "slash" and "metal claw". Overall, I really enjoy this end result and I think the changes I made to Persian, nay, PURRSIAN, help make this cat appear powerful, formidable, and majestic. I hope you too enjoyed the art, and this little write up. Be sure to come by tomorrow to see the next critter on the list. Enjoy your evening, folks! Make way for Meowth! Pokemon One a Day!